With years of experience behind us, and a team of civil engineers, architects & draftsmen, Dimension India can provide you drafting services for structural cad drawing. We are proficient with any kind of structures including steel, concrete or wood structures. We have experience of working with steel, cast and pre-fabricated structures, and can provide you structural cad drawing or drafting for the same. Dimension India would provide you with structural drafting for the above drawings and other structural drawings, but it would require sketches and relevant information regarding the same. We do not at present undertake structural design services. We also do not undertake any load calculations or any other calculation pertaining to the design of structural elements or reinforcement of a building. 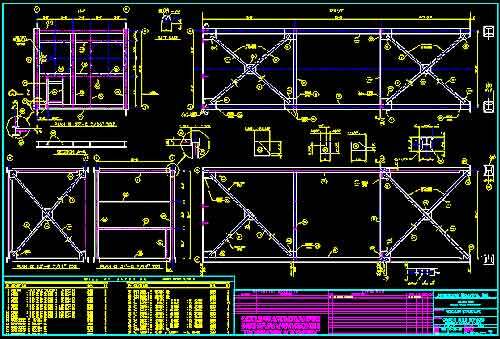 Structural CAD drawing is generally considered to be the drawings of steel, wood, cast concrete or pre-fabricated concrete slabs, as well as other building materials used to construct buildings or structures. Dimension India has a dedicated team of professionals and civil engineers to provide our clients with the best possible drafting services for all architectural structural drawings.